More than 3.4 million Southern California residents are expected to travel over the Fourth of July holiday, the fifth consecutive year of increase in people heading out for holiday getaways, the Automobile Club of Southern California forecast Thursday. The vast majority of SoCal travelers, about 2.6 million, are expected to travel by car, up 4.7 percent from last year. About 435,000 people will travel by air, up 9.2 percent year-over-year, while 285,000 will travel by train, cruise, bus or other means, a 5.3 percent jump. 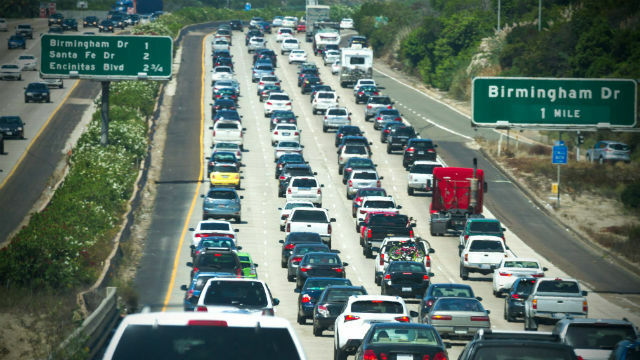 According to the Auto Club and transportation-analytics firm INRIX, traffic congestion is expected to be particularly heavy in Southern California on the afternoon of July 3 as people hit the roads for the holiday. INRIX is predicting that congestion will be worse between the hours of 3:30 and 5:30 p.m. that day. The most popular destinations for Southern California travelers are expected to be San Diego, Las Vegas, San Francisco, Yosemite National Park and the Grand Canyon. Nationally, Anaheim is predicted to be the second-most popular destination for travelers, behind only Orlando, Florida.